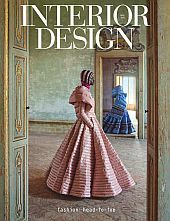 Welcome to the INTERIOR DESIGN reader service Web site. Use these pages to quickly find and request free information on the products and/or services found in the pages of INTERIOR DESIGN. You can ask companies to provide you with more information or link directly to their web site. SPARK MODERN FIRES AUTHENTICALLY SPARK! MATERIAL BANK SEARCH, SAMPLE, SPECIFY IN SECONDS. LUMINAIRE THE KITCHEN - REIMAGINED. BELLA-DURA THINK YOU KNOW PERFORMANCE FABRICS?